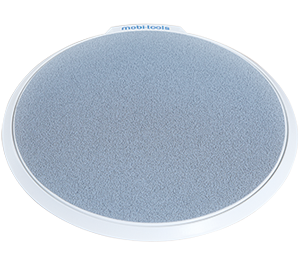 This complete set of professional tools facilitates the tasks of mobilizing patients with mobility difficulties. 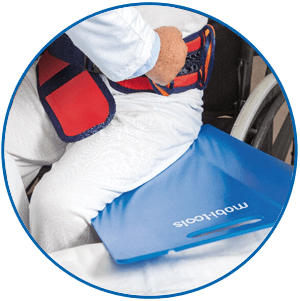 Professional Transfer Kit is always ready to be transported and used, providing greater safety to patients and optimizing the caregiver effort. 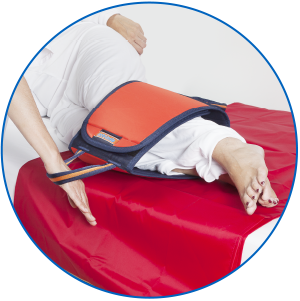 Allows controlling the trunk of patient in mobilization and transfer tasks, providing a sense of security to the patient and avoiding overexertion injuries in the therapist. 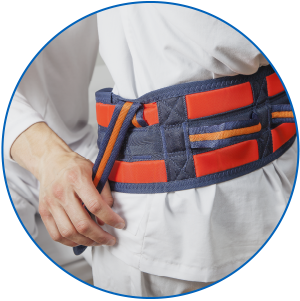 The extra fastening of mobilization belt handles allow the therapist to manage the patient or dependent controlled and safe manner. 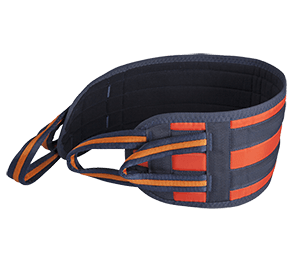 It provides an extra gripping point, support and anchoring on the patient’s lower leg. 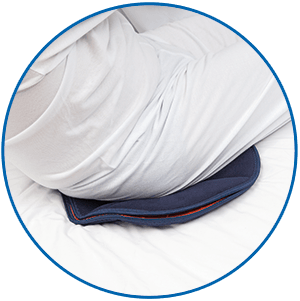 Very useful to move the legs, as the rise and fall of the bed so as such as for block them at the time to stand or sit. 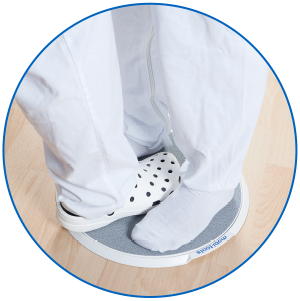 It allows a smooth, safe and controlled turn movement of the patient in transfer that requires rotation. 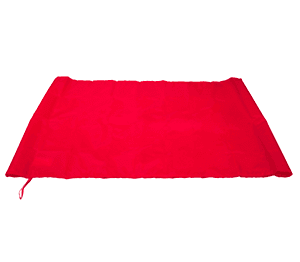 All upper and lower non-slip surface for maximum stability. 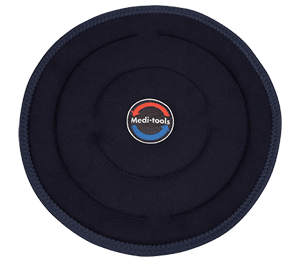 Rotation disk which facilitates the rotation of patients or dependent person on bed, chair or car seat. To transfer patients from bed to a wheelchair or vice versa. 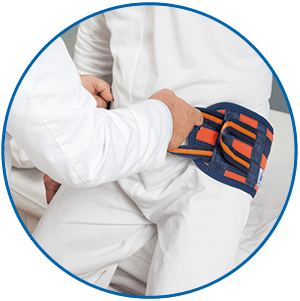 Significantly reduces the effort required by the caregiver and increases the patient safety due to a rigid base permanently. Slipery upper face and antiskid surface on the back. The two longitudinal grooves can modify the shape of the table to make it more ergonomic and safe. 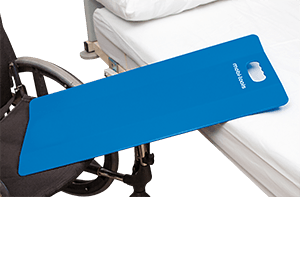 For tasks of repositioning patients in bed and as complements for performing transfers. 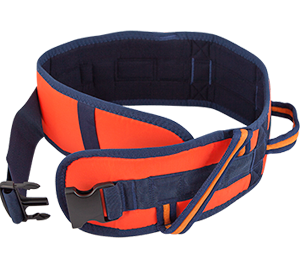 Due to low friction helps therapist to perform his job with greater comfort and safety, preventing strain injuries. 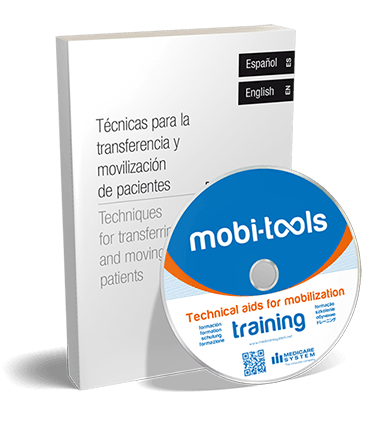 Professional Transfer Kit contains a complete manual of techniques for transfer and mobilization of patients as well as the instructions for use of each of included devices. In addition, you can view the training videos to learn how to implement these techniques. See our catalog to find all the solutions proposed by Medicare System for transfer and mobilization of patients. 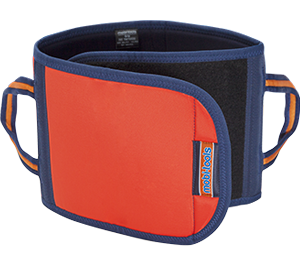 Devices designed for use by professionals, both in hospital setting as for home care. These tools represent an important advance in the care of patients and improvement in reducing occupational hazard of health workers. Medicare System products are manufactured according to the directive 93/42/ECof the European Council and are registered with U.S. FDA with nº 3008797789. Your browser does not support video playback, you can download the video here.